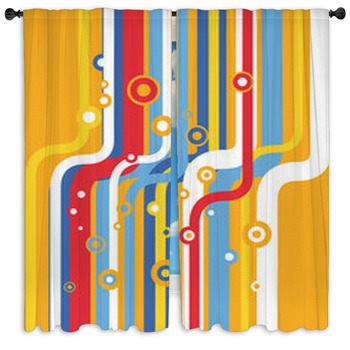 With orbital ellipses and a groovy feel to its abstract art, these 1970s window curtains designs make great use of browns, golds, and oranges in abstracts and floral patterns to create bright warm designs just waiting to dance at your windows. 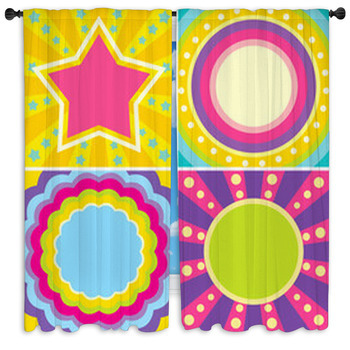 Red, white and blue peace symbols and hearts decorate block out curtains for any room. 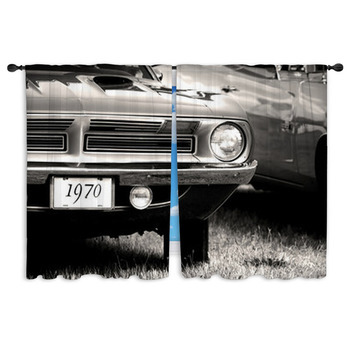 Retro circles and squares in a variety of blues bring classy 70s designs to drapes for your living room. Combining our pre-selected styles with customization options opens up a whole new world of the 1970s. 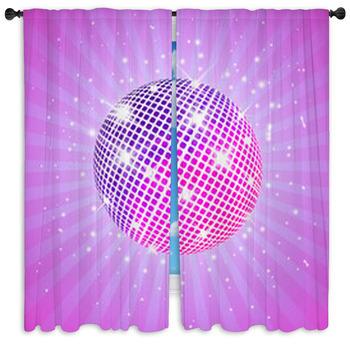 Bring back love and peace in swirling hearts of blues and violets, reds and pinks, with these custom designed drapes. 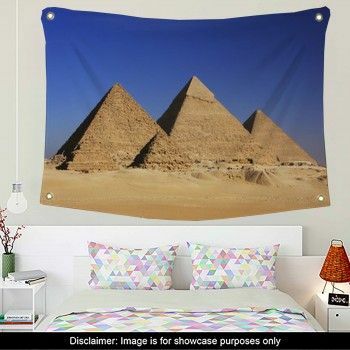 You can choose any size or pattern to make your room perfect! You can even combine your memories of the 1970s with what we have on our website. Maybe put the date of an important moment atop the picture itself. 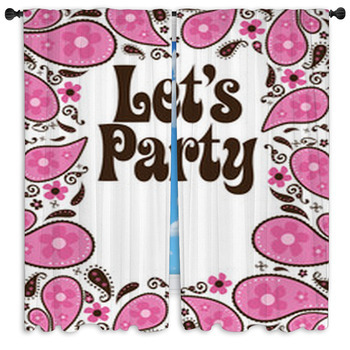 Recreate the 1970s with our Peace & Love drapes, with valances that hold all the happy values of the 70s, and with black-out curtains that are as dark as your memories of particularly crazy nights. 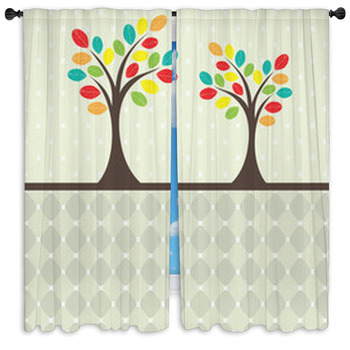 Our three window curtain options should enable you to find exactly what you need. Decorate your kitchen with an interesting design of pink, orange and brown floral valances and partner it up with a round rug to also have something comfortable to step on and reminisce those fun memories even while doing the dishes. 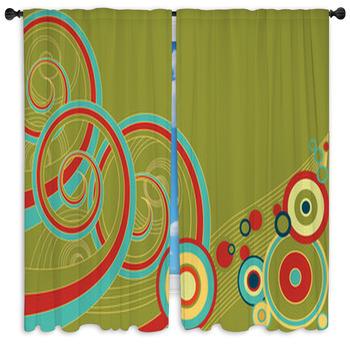 Retro green spirals would look cool in any bedroom! 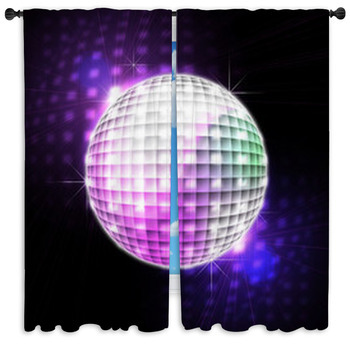 Boogie all night to the colors of the rainbow in the disco ball curtains, or use the stylish retro curtains to bring pizzazz to your family room. 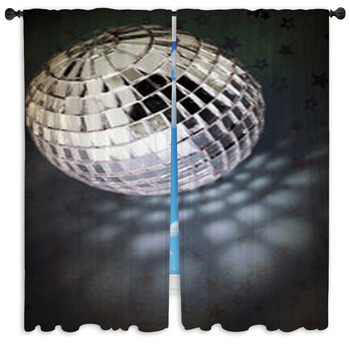 Our curtains can fit every room, and you can even theme each room using our many options. A children's room with lava lamps? Check. 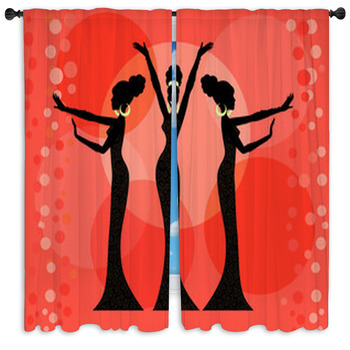 A living room with drawn fashion curtains? Also, check. The only limit to our 1970s theme is your imagination. 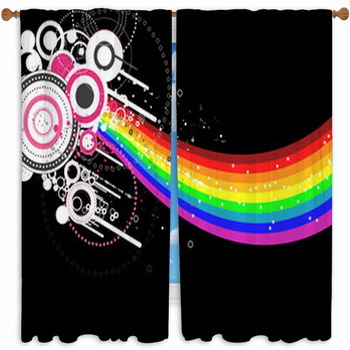 These curtains work in any room of the house. 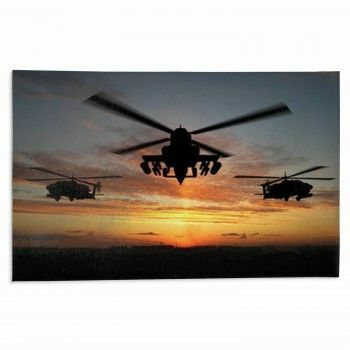 Make your home into a shrine to your teenage years. 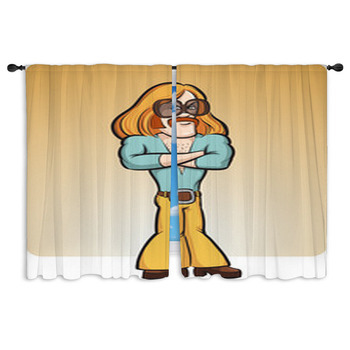 Put on some Foghat and kick back to see the reflection of your life in our 1970s themed window curtains.